Synopsis: Citizens of Panem: Every quarter century, The Capitol honors the anniversary of its victory over the Districts with a special edition of the Games. This year, for the first time in history, your favorite victors will return as tributes. As usual, all residents are required by Capitol law to watch the Games. Insubordination will not be tolerated. Verdict: I wanted to continue being anti-Hunger Games for ripping off Battle Royale but this sequel is so tightly written, well acted, brilliantly executed, perfectly paced and emotionally engaging that it makes the first film look like an inferior piece of joke. It was truly a blessing in disguise when director of the first instalment Gary Ross had to be replaced by Francis Lawrence due to his tight schedule. 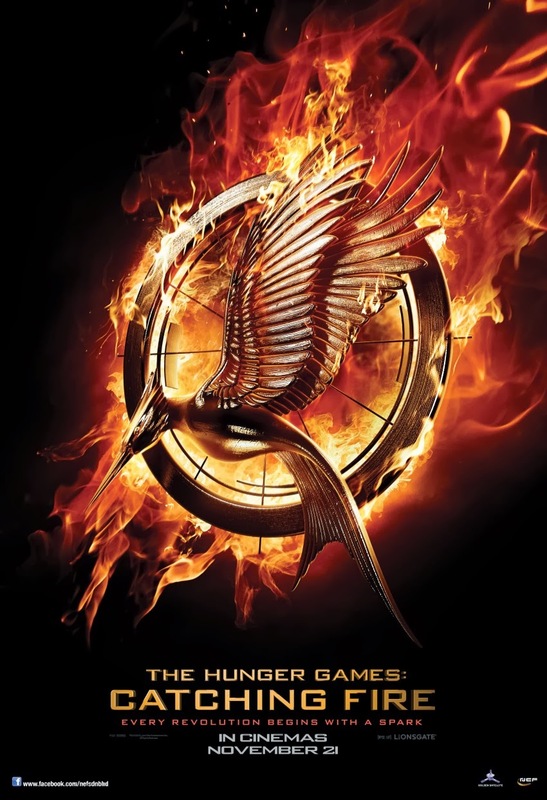 Hunger Games 2: Catching Fire smartly includes the stuff that were apparently missed out in the previous film without overdoing it while also exploring sophisticated themes which may be politically relatable to many. I’ve never read the books but I have the feeling that this adaptation have surpassed the original work, which was actually written to target young adults. Also, it was yet another compelling performance by Jennifer Lawrence, which perhaps deserve an Oscar nomination. With both these Lawrence’s signed up for the last to instalments, I’m now very eager to see how much more epic can this franchise could go. Second opinion: It teared up my girlfriend’s eyes in a few scenes. She, too, agree that it’s “very nice to watch”. There are plenty but the focused ones in this film are – the political use of media, state of totalitarianism, sacrifice, revolution and power of emotional and inspirational influence. The rulers of the nation in the story forbid freedom of speech, force the poorer citizens to work hard to supply for them but cares not about their sufferings, punish anyone who protests, control the media to favour themselves, etc. (Sounds very familiar, doesn’t it, Malaysians?). What Katniss has done courageously in the first film have re-inspired and motivated the people from the poor districts who had lost all hope for equality and fairness. Like in the movie The Dark Knight (2008), the ultimate objective in the story is to keep hope and the momentum going, no matter what the sacrifice may be because it’s necessary, and basically the protagonist, Katniss Everdeen (Jennifer Lawrence), is the Harvey Dent of this story and the Batman is everyone who understands how important it is to keep the symbol of hope, which Katniss represents, alive, and they are willing to sacrifice themselves for it because a revolution is desperately in need. Just one problem… don’t they ever need to use the toilet in the games? It’d be more realistic if they actually show how they guard each other when answering nature’s call. Could’ve been a great tactic to attack as well. Katniss and her allies, for unknown reasons, prefer to stay by the beach (water not consumable) where they can be easily spotted and attacked from afar by enemies while camouflaging in the woods. Maybe I missed out something but if I didn’t, tactically that’s really stupid of them. Oh yeah, and where did they find such a huge supply of wires for their plan to electrocute their enemies (it’s later revealed that the real plan is to harness the lighting and destroy the arena to escape)? Are they allowed to bring their own stuffs in? I know that it could’ve been easily smuggled in by Plutarch (Philip Seymour Hoffman), who is revealed to be on their side at the end, but why aren’t Katniss and Peeta (Josh Hutcherson) curious about it at all? According to the comment below by fellow blogger Nana Eddy, these are all explained in the book but not in the movie. Title in Malay? Permainan-Permainan Kelaparan: Menangkap Api. Malaysian censorship: Vulgarity is muted, other than that, seemed pretty uncut at the premiere screening. Malaysian subtitles: It’s so huge that it covers almost half the screen and the sides of the lines that are longer than the next would just stay on the picture. Seriously, what is wrong with the locally done subtitles these days? The problem you mentioned above, no, not the toilet one, the other one is amply explained in the book. Actually, a lot of things are clearer in the book. Of course, when they adapt it to movie, they will have to choose which to show and which to opt out. I think this is quite a good movie. Although, my partner was getting sleepy watching it lol (I don't think she has a lot of interest in this genre). I love the visuals in this movie. I'm looking forward to the next one too. Hope I won't be disappointed cause the book was rather epic. @Elwyn Even if they did explain in the movie, why doesn't Katniss (who's portrayed as a highly observant and sharp individual regardless of situation) feel suspicious to why there's suddenly a nice huge brand new roll of wires lying around on that clock island? On the toilet thing, it's just a joke but with two movies, they should've probably had at least have a small scene or dialogue about this. bro, she was gunning for the bow and arrow and getting an arrow to the knee to everyone who gets in her way. she cant be bothered by something that she does not need to stay alive. its either she gets to the bow and arrow first and start shooting or she heads over take a look around at all the things that they have there and let someone stab her in the heart while she is window shopping for all the goodies laid out. @Elwyn Dude, what are you talking about? We were talking the wires, which appears way after that scene. katniss doesn't question the wire because it has been used as a weapon in the arena before. She knows this because it is revealed in the book that Beetee won his hunger games many years ago by electrocuting the careers using a roll of wire he retrieved in the cornucopia. So of course when the guy whose famous for using his electrician skill set to murder people, she doesn't seem surprised to see that he is desperate to keep hold of it when faced with death once again (although i don't think his obsession with the wire was portrayed as heavily in the film as it was in the book- i can't remember). But you're right about Plutarch being the one who made sure that it was in the cornucopia. He probably told Beetee to make sure he gets hold of the wire (i don't think Beetee would have been so eager to take a knife in the back in order to retrieve it if he had not been ordered to do so). But i'm not sure as it is never revealed in the books just how much the other victors know about the plan to break out of the arena. 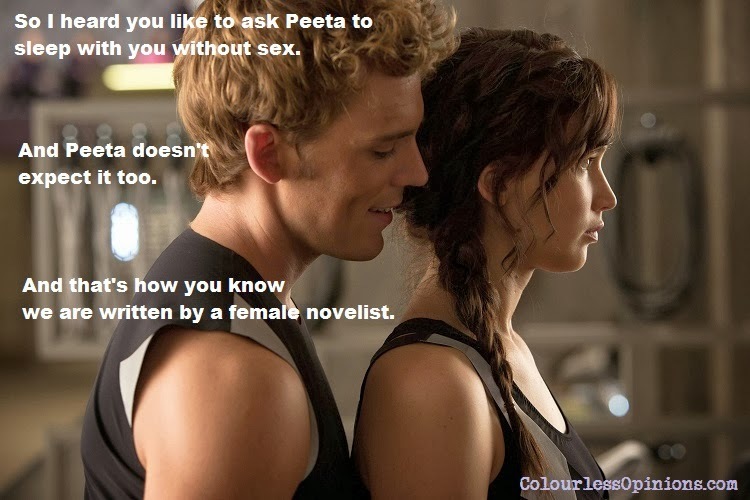 I assumed The Hunger Games would be pop teen fiction, but I was wrong. I love great dystopian literature because I think it gloriously illustrates the folly of much of what we call "progress" today. If you like Golding, Orwell, Bradbury, Huxley, or Orson Scott Card, you'll love what Collins' world says about our world.